This cake has been a long time coming! 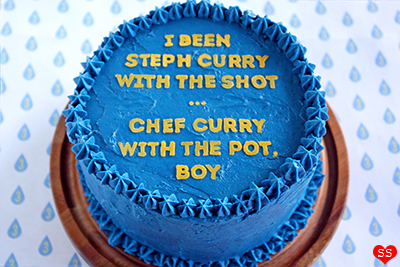 Every year, when the NBA playoffs come around, I always think about making a Warriors-themed cake (not sure why these thoughts don't pop up during the regular season, haha). But I always find myself busy with one thing or another and it never happens. This year I have no excuse! 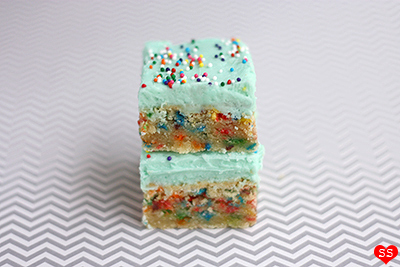 I'm currently on vacation before residency starts and one of my goals is to work on this blog and catch up on all the baking ideas I've had stored up… hopefully. Additionally, I finally started using Instagram this past year (follow me: @susannotsusie :D! 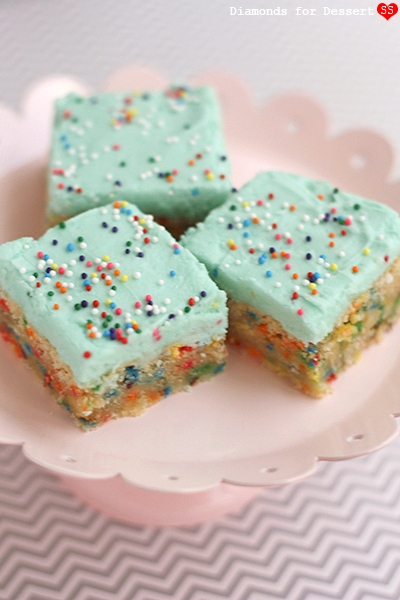 I should probably create a separate IG account for this blog, but ¯\_(ツ)_/¯...), and not too long ago, I discovered Joy the Baker's account @drakeoncake!!! It's the best, seriously. 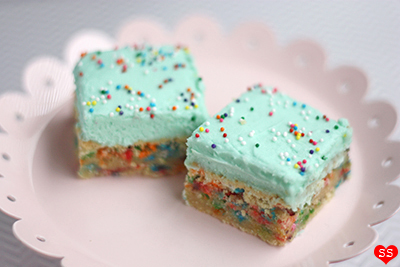 I was listening to music and 0 to 100 came on and I thought, you know what would be even better than Drake + Cake? 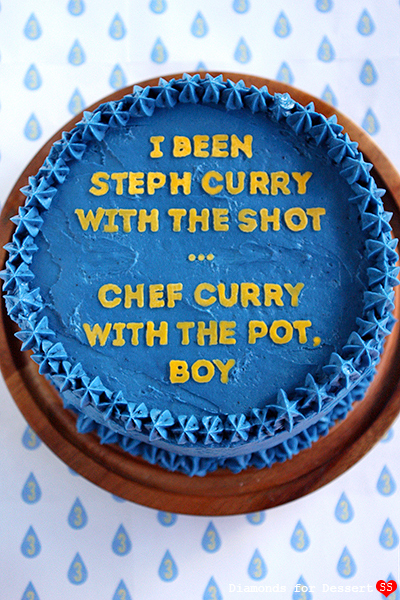 Drake + Dubs + Cake! So there you go. It was either 0 to 100 or Summer Sixteen :). Originally I was going to do a blueberry lemon cake, but the blueberry frosting ended up being a lot of work and not very blueberry-ish. 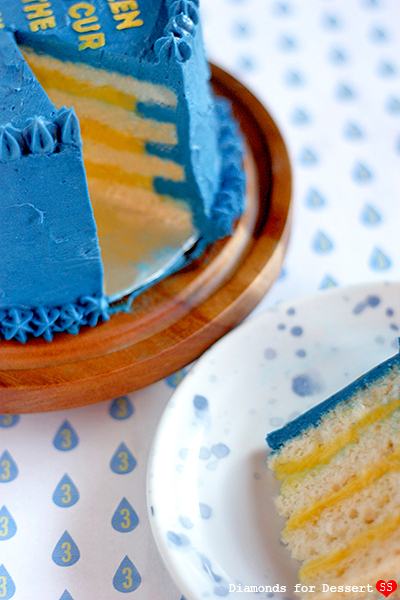 So it ended up being a lemon cake with blue frosting (still looking for a good blueberry frosting! 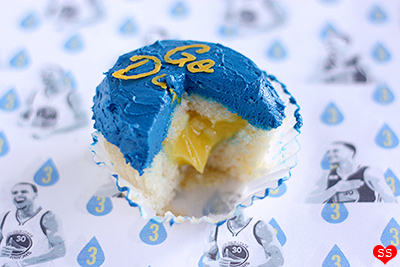 ), but still yummy with the tart lemon curd filling. 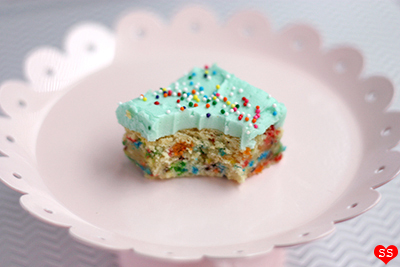 I ended up making a mini cake, but included the instructions for a full sized cake, a mini cake, and cupcakes (in case you're not up to making a full sized cake, but still want to try this recipe). Enjoy! P. S. And yes, it is raining 3s in the background. I didn't want to wait for online shipping to buy basketball themed paper, so I made my own. 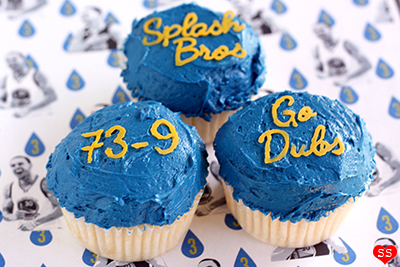 Also, go Dubs! 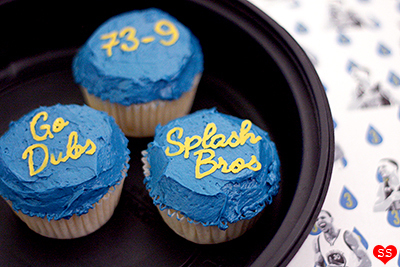 Happy NBA Playoffs :). Happy Pi Day!!! 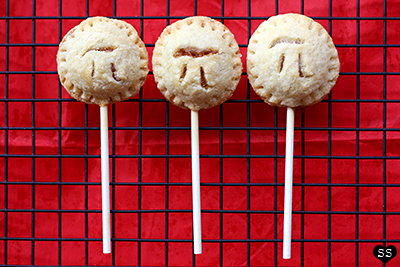 It's an even more precise Pi Day today since it's 3/14/16 (if you round up pi, you get 3.1416 :D). 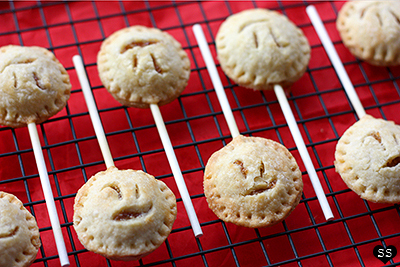 So of course, I have a pie recipe for you today: Apple Pi(e) Pops. 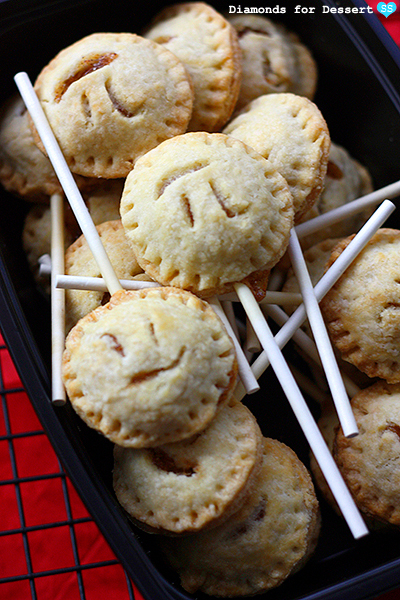 These apple pie pops are great on the go and for sharing, like on a picnic. 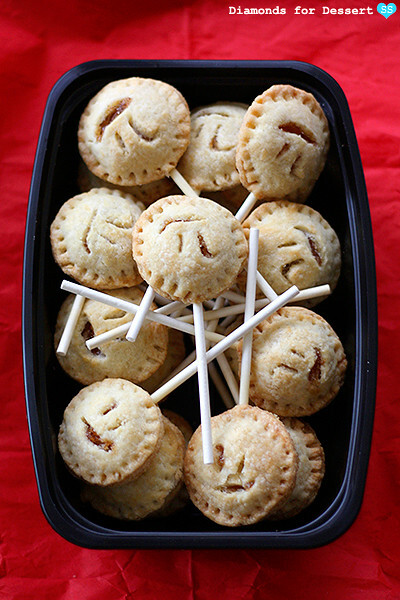 They're the perfect little bites of sweetness for when you're craving pie, but don't want a whole slice. I actually really like to have a greater pie crust to filling ratio, so if that's your preference, this is the dessert for you. Plus they're just really cute and festive. And just FYI, the leftover filling is perfect for mixing into plain oatmeal, like the instant packets of apple cinnamon oatmeal, but better because it's made from fresh apples! I've definitely made just the filling before to make apple cinnamon oatmeal :).